This modern ice bucket is fun and functional. 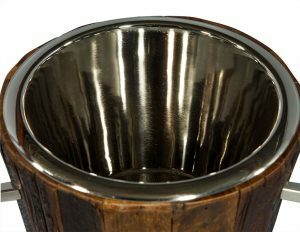 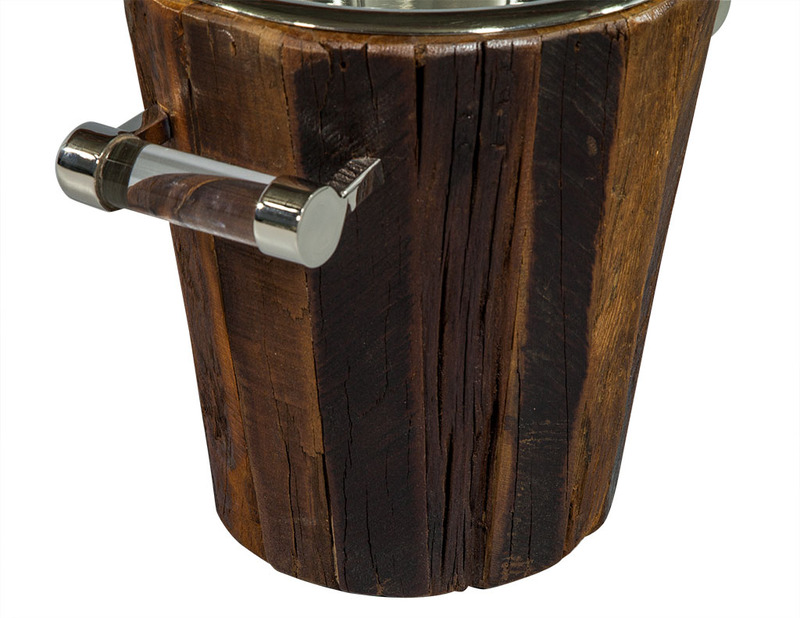 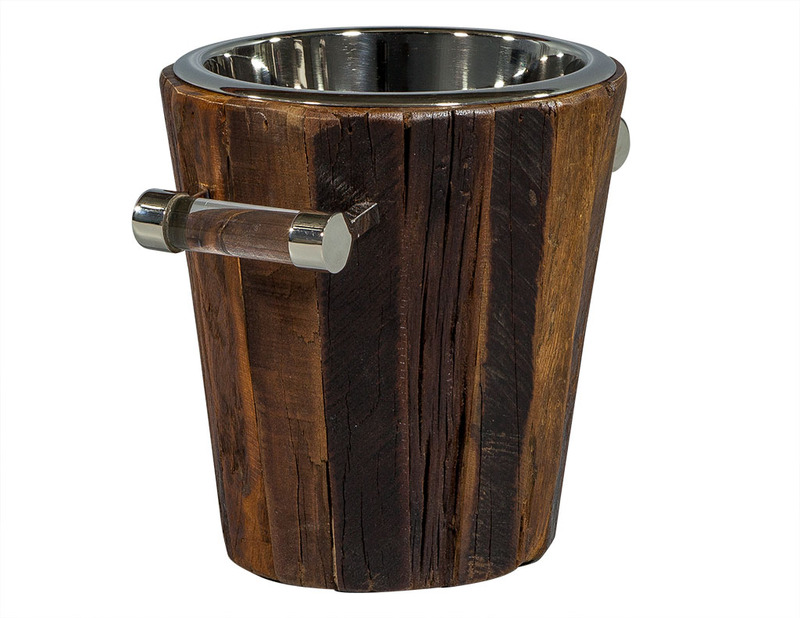 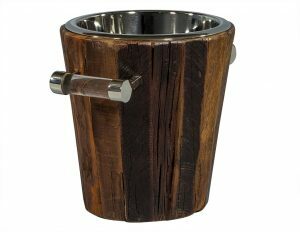 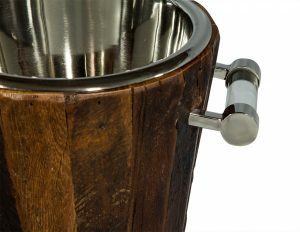 It has a stainless steel insert and rustic raw wood panels along the outside. 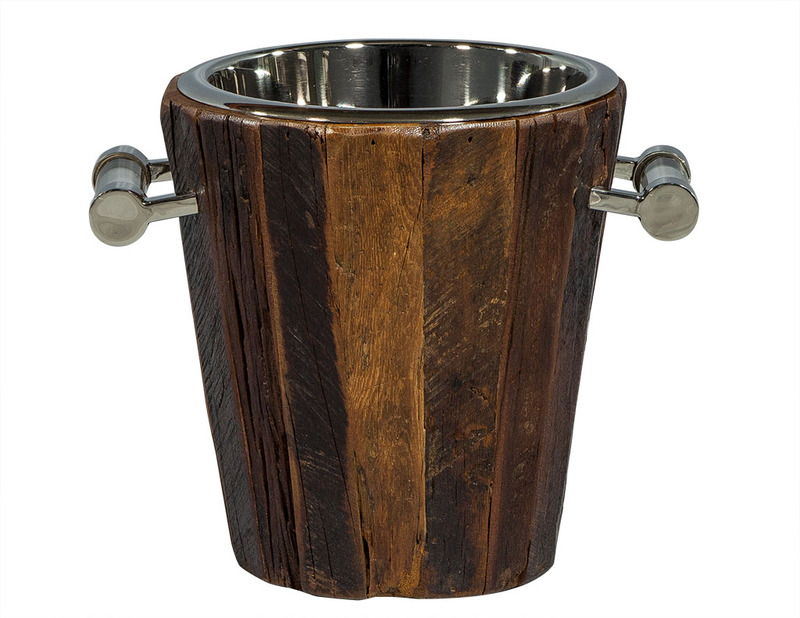 Accented with Lucite handles on either side for portability, this bucket is a solid piece perfect for entertaining in any home.